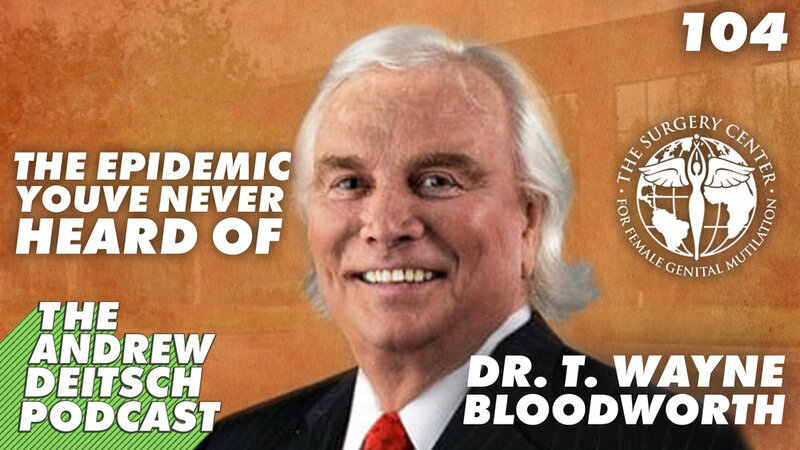 My guest today is Dr. T. Wayne Bloodworth. He's the founder and chairman of The Surgery Center for Female Genital Mutilation located in Johns Creek, Georgia. You're not alone if you've never heard of female genital mutilation, but over 30 million women and children around the world are at risk in the next ten years of falling victim to this inhumane practice. FGM is a cultural practice of altering or ‘cutting’ female genitalia. It is not done for any medical purpose. It is not endorsed by any religion, but is a local tradition that occurs in multiple countries, including Africa and Eastern and Middle Asia. It is based on a fallacy that FGM somehow preserves a woman's virtue or prohibits promiscuity as they mature, making her more appealing as a wife and mother. Victims experience major lifelong medical issues and the harm to their emotional health is unfathomable. They live in shame and are afraid to speak about how their disfigurement has impacted their sense of wholeness as a woman. Dr. Bloodworth has more than thirty-five years of surgical experience, and he's one of the few doctors in the world who is performing this life changing surgery for victims of FGM. The most amazing part, this surgery is offered at NO COST to the victims. This episode was definitely a bit out of my comfort zone, but a really important topic to raise awareness about.